Carmelle Madhere is a proud member of the Cambridge-Somerville chapter of Mass Senior Action, and she has recently taken on new a leadership role as the Membership Coordinator of her chapter. 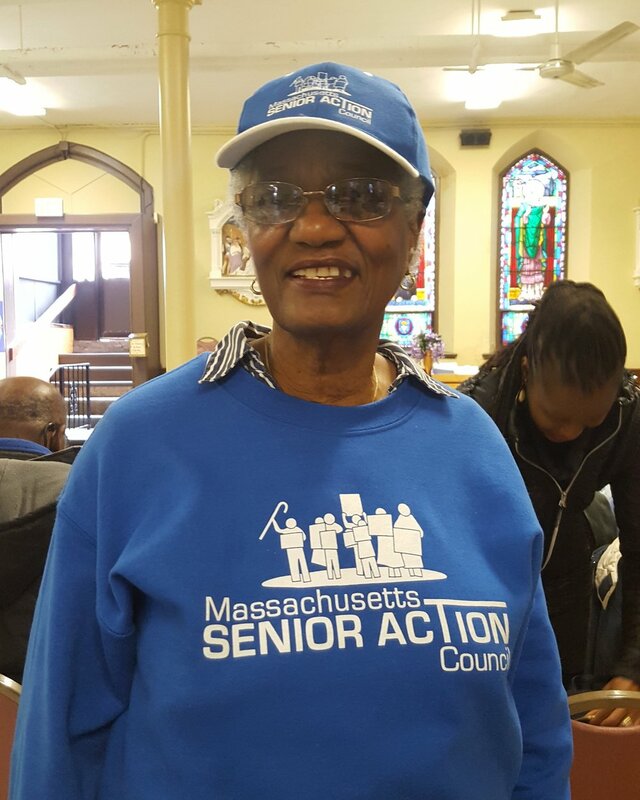 One reason Carmelle likes to be a member of Mass Senior Action because she cares about healthcare. She had a long career in healthcare, working for 25 years as a nurse companion. In this field, she says, she has seen a lot of health misery and suffering, especially in elders. She says, “I see how many seniors in my community are suffering, mentally and physically, and so I know how important it is to try to get services that will be good for seniors.” She knows firsthand how important it is to work together to try to obtain the resources that seniors deserve. Carmelle says that what excites her about Mass Senior Action is the togetherness -- at Mass Senior Action, we do everything together. We meet together, we plan together, and we work on our issues together. Carmelle appreciates the community that is Mass Senior Action, and says that even when she doesn’t feel well, her commitment to Mass Senior Action helps keep her going.